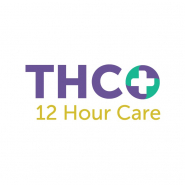 At THC we encourage all of our patients and customers to ask questions. Our friendly and knowledgeable budtender staff are here to make you feel welcome and comfortable at our facility. Twelve Hour Care staff are educated, experienced, and committed to making your visit the best experience possible. Twelve Hour Care prides itself on delivering incredible service with the friendly prices. Our shelves are stocked with the highest-quality marijuana flowers, concentrates, edibles, and accessories. Our dispensary carries a large selection of top-shelf cannabis brands as well as locally grown cannabis products from here in northern California. Come on in to THC and start living your better life today.